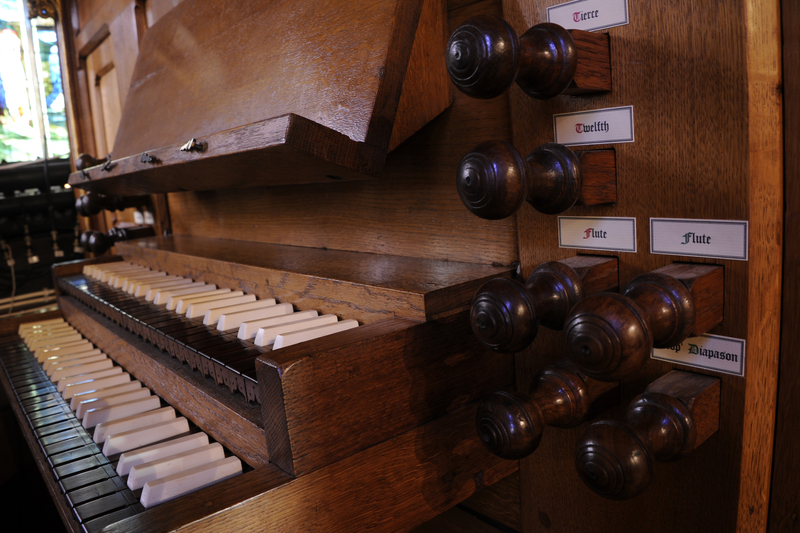 The musical life of our Chapel is enriched by several fine instruments, including three organs. The oldest organ, located closest to the altar, dates originally from the mid 19th century and was given to the College by Sir John Sutton. The designs on the panels are by Pugin. 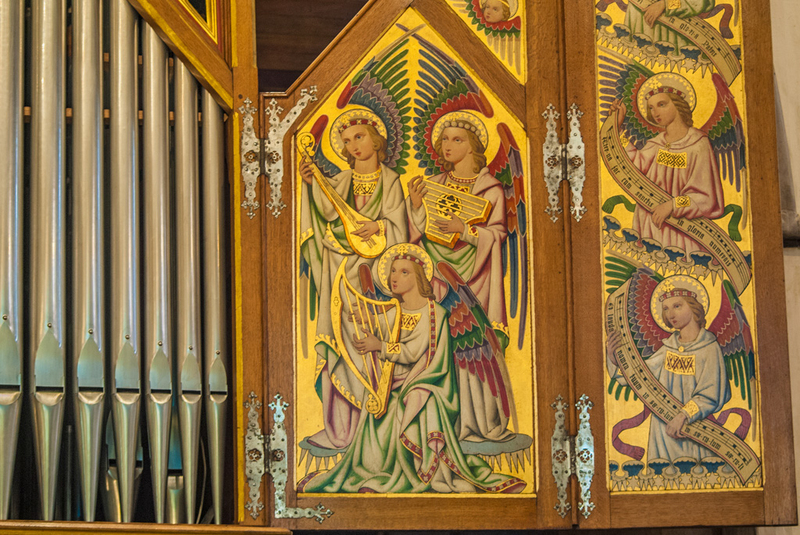 This organ was the principal organ for the Chapel until a new instrument was installed by Noel Mander in 1971. 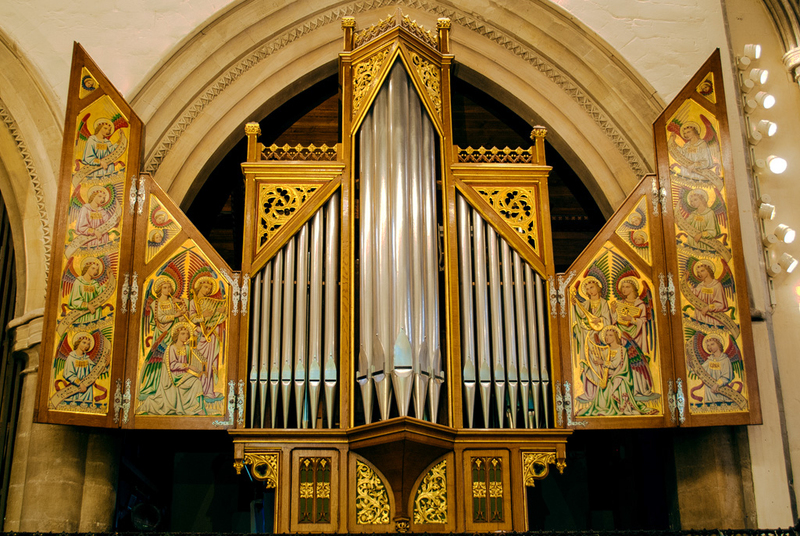 The Sutton Organ has recently been restored to its original 1849 state by William Drake. 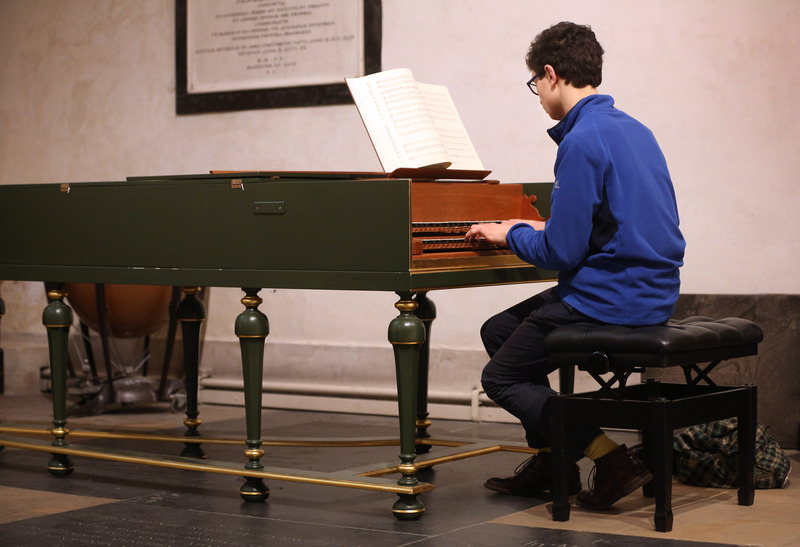 In 2007, the Mander organ which had served the Chapel since 1971 was replaced by a new instrument of 33 stops following a generous donation from Mr James Hudleston. The first instrument in the UK to be built by Orgelbau Kuhn, Switzerland’s leading organ builders, the Hudleston Organ was designed for use in daily worship in the Chapel as well as for recitals and teaching. In 2010 Mr Charles Rawlinson commissioned a three-stop chamber organ by Kenneth Tickell of Northampton. This is known as the Rawlinson Chamber Organ. All three organs are regularly used for services and concerts in the Chapel. 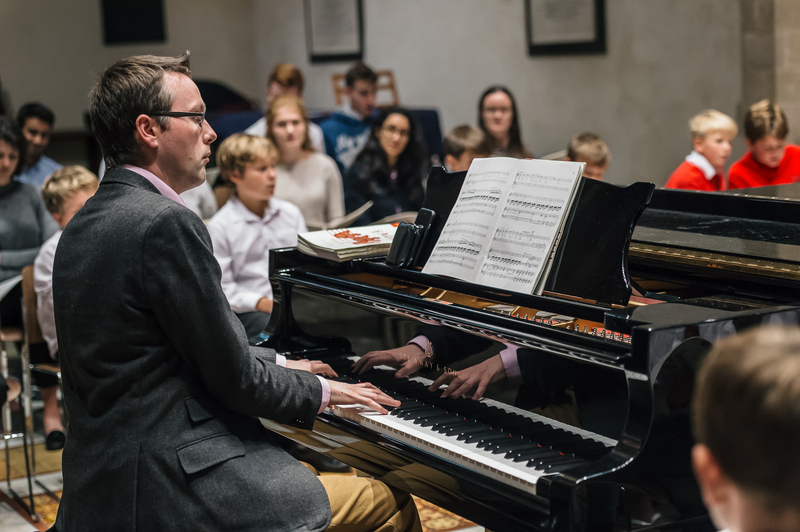 The College has three resident organists in the Director of Music and the two Organ Scholars, and other members of the College occasionally give recitals along with visiting musicians. The Chapel also houses a polished black 2006 Steinway concert grand piano and a harpsichord built by Bruce Kennedy in 2012 after a model by Christian Zell dating from 1741. 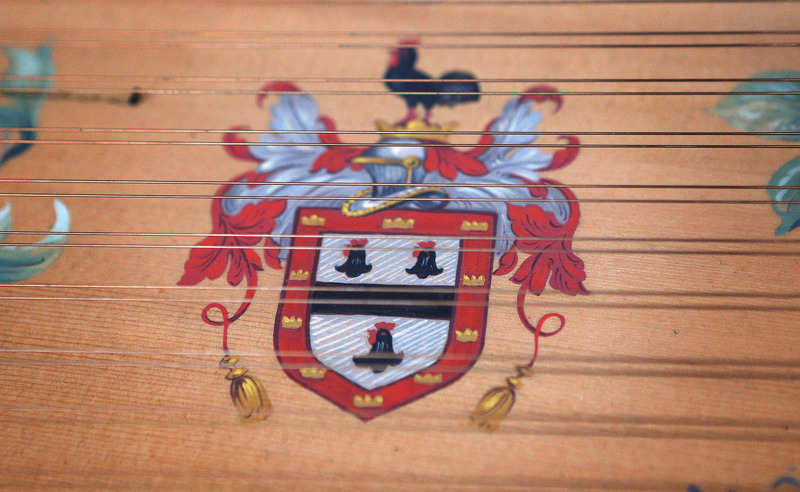 The harpsichord soundboard features a painting of the College Crest. Both instruments were the gift of Professor Stephen Heath. Singing in Jesus College Choir has been a highlight of my time at university. The opportunity to sing such a varied range of repertoire to a consistently high standard is very special, and as a Natural Sciences student something refreshing I can always look forward to after a day in labs and lectures.